This is a chip system with a full broadcast of chips and two clear coats. We start with a color primer, add a color coat, then broadcast the chips to completely cover the wet color coat and follow that with two clear coats. This is a chip system with one clear coat. We start with a color primer, add a color coat, followed by a second color coat and broadcast the chips into the wet color coat in a medium to heavy spread. Followed by a clear coat. This is a chip finish with no clear coat (Not recommended for vehicle parking or chemicals). We start with a color primer, followed by a color coat and then broadcast the chips into the wet color coat in a medium to heavy spread. This serves as a decorative addition as well as a natural anti-skid element. This is a solid color floor finish. We start with a color primer and then add two color coats. Liquid Granite consists of chips made from natural stone and is applied using the five-layer Prestige system. 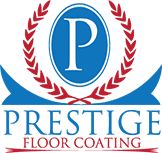 The only difference to note is that instead of using color chips, as is used in all other coatings, we use chips made from natural mineral flakes that make the flooring system glisten with natural crystalline beauty. This unique quality is derived from a group of sheet silicate minerals including muscovite, phlogopite, biotite and clintonite. These flakes provide a natural metallic luster to our Ultra flooring system that cannot be achieved with other engineered materials. 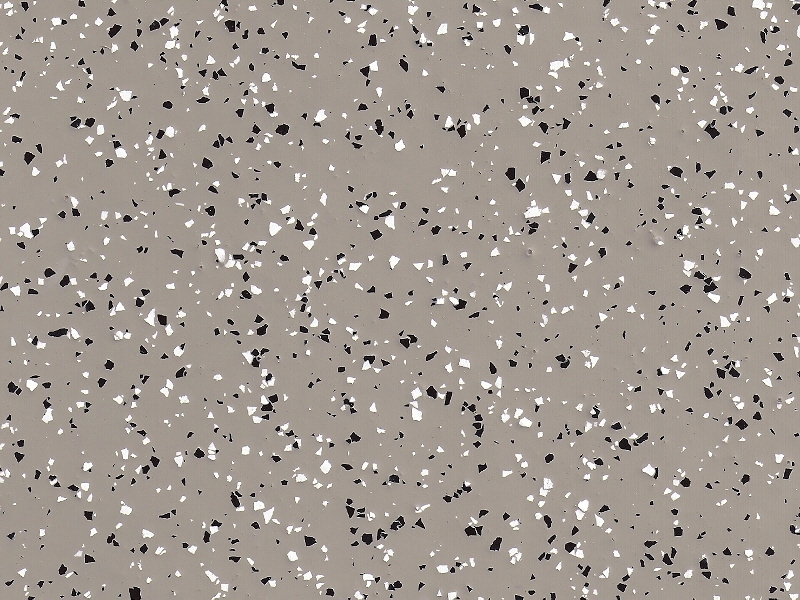 Shell Stone is a multi-color flake system that combines durability with the replication of a soft VCT. This system’s appearance is very natural looking, and has been compared to sea shells or rock formations. We start with a color primer, add a color coat, then broadcast the flakes to completely cover the wet color coat and follow that with two clear coats. Liquid Dazzle is a metallic shimmer coating technique that assures a one-of-a-kind artistic finish that is revolutionizing the floor coating industry. Floors finished with the application are glass-like and smooth and have been described as having a hammered metal look or moon craters. Celebrate your favorite team by installing their custom color choice on your floor. to choose from with the assistance of one of our trained design consultants. You thought 31 flavors was a lot of choices. Please understand that there may be variations in the colors from the samples provided due to factors beyond our control (i.e. dye lot changes, color setting, etc. ).